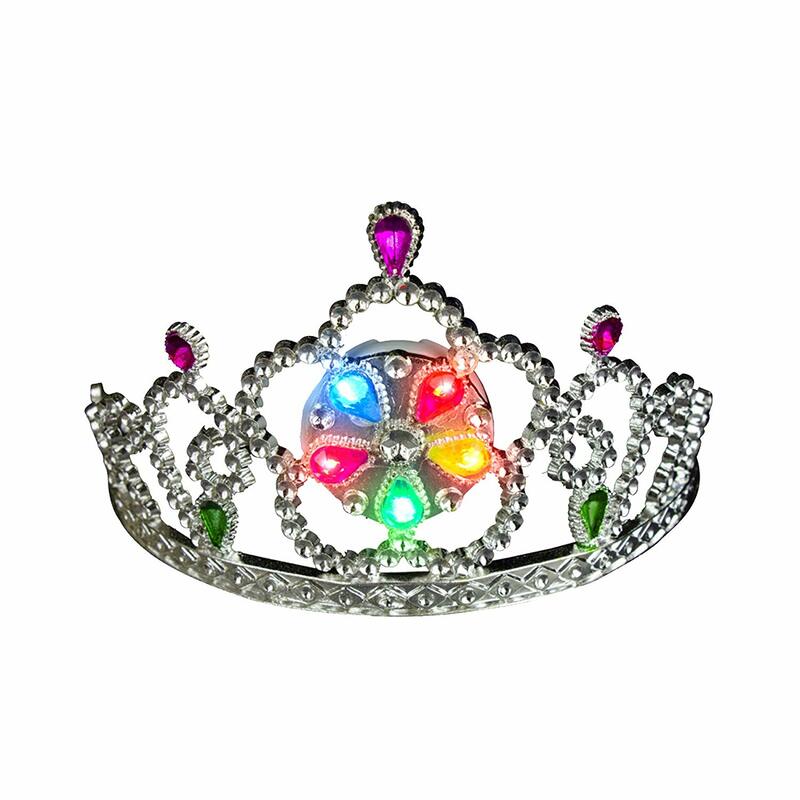 To activate your LED Princess Tiara, press the button on the back of crown. LED Flower shape has 1 light function – red LEDs rotate in a circle. 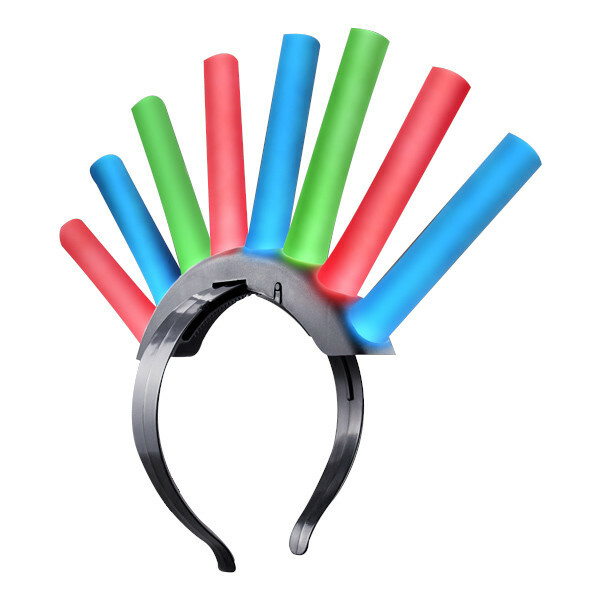 Size: One size fits most (plastic sides can be stretched out a bit for adults) LED Colors: All Red Each LED Princess Tiara includes 3 AG3 Batteries.